Don’t tell Kristen Ley that “curiosity killed the cat,” because she won’t believe you. In fact, there’s a good chance she might send one of her adorable fur babies after you to charm you into changing your mind. 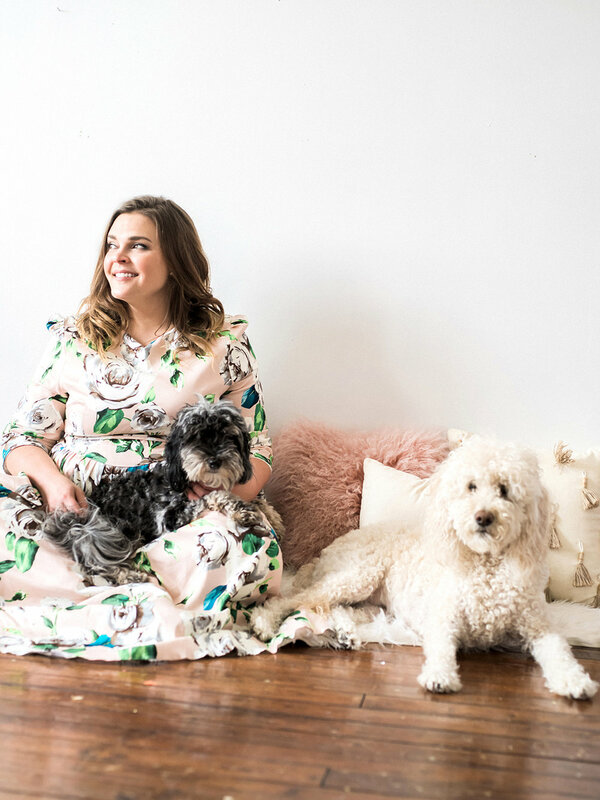 This animal-loving, joy-seeking, problem-solving genius behind the popular stationery and gift brand, Thimblepress, believes that curiosity and storytelling fuel the best products. 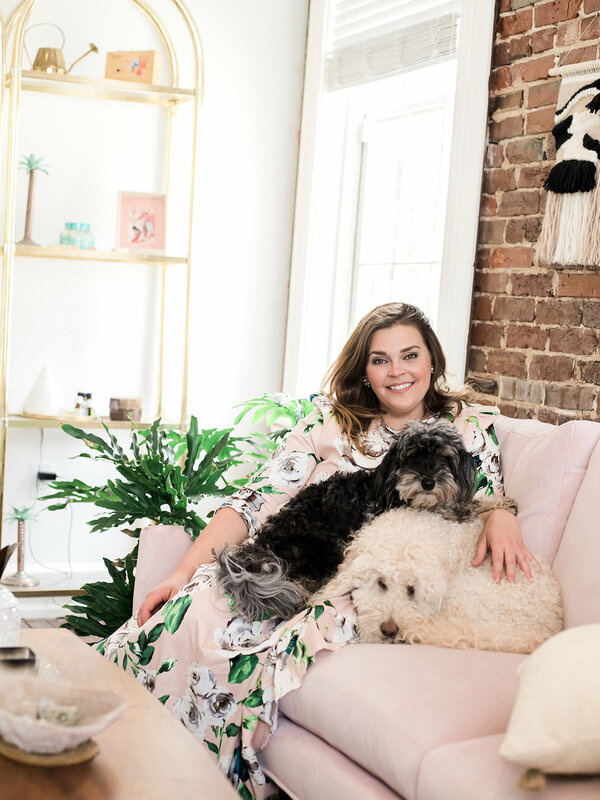 Kristen has a lifetime of stories stowed away in her memory bank, waiting to inspire a product that solves a problem, like the brand’s mega-popular Confetti Push Pop inspired by a sweet childhood memory of being obsessed with the Flinstones Push-Up treat. The Confetti Push Pop began as a strategic marketing idea that Kristen brought to life for her first tradeshow, the National Stationery Show, in 2013. The tradeshow was a big leap and a giant investment for Kristen, who was running Thimblepress on a letterpress in her garage. She admits that she had no idea what she was doing, but was certain about one thing—she wanted to throw a party and have everyone come celebrate with her. So, the brainstorm session started. How was she going to find a way to throw a party in her booth? Imagine the stream of thoughts looking something like this: Ok. I love parties. I want people to know they can expect a party from my brand. What are my favorite components of a party? Streamers, hats, paper plates, cups, balloons, confetti. Yes, confetti. It’s no surprise she landed on confetti since Kristen always had a thing for drawing little shapes. But, she didn’t want to stop there—she wanted whatever she created to be a first for people. I need to put this confetti in something. Maybe I can build my own container. On the letterpress, maybe? Yes, I am totally building my own container on the letterpress! Around this time, Kristen and her friends were at a lake and walked down to the country store for a little treat. She slid open the freezer to grab an orange Flintstones Push-Up (her favorite), picked it up, and thought, This. Is. It! I could totally make this container! I could letterpress chip board, curve it and glue it, take a wooden dowel rod, hook it on another wooden disc, glue it together, cover it in wax paper and make my own push up. Kristen was determined to create this contraption from scratch and do it the hard way, because “the hard way can lead to those ah-ha moments.” For Kristen, the hard way looked a little something like this: This glue is not drying fast enough. It’s foamy and bubbling up. This isn’t going to work. The tissue paper for the confetti is melting in the paper shredder. This is not happening. This is a failure. Ok, I can figure this out. I’ll try to find a plain container and maybe I can hand-cut my own confetti. Yes. This can work. Ok, let’s search for clear containers on Amazon....oh….there it is. Clear cake pop containers. I could probably order these. Kristen: “Absolutely!” What?! These were never supposed to be products. At all. Ever. Kristen: “Oh, excuse me, but I think I dropped my pen!” Quick, while I’m down here on the ground, let me figure out the math. How much did I spend? Do I count the broken shredders in this cost? Kristen admits she ended up under-selling them, but views it, and every failure since, as a place to grow. She credits that first Push Pop with Thimblepress’ tremendous and quick growth. They were affordable, compact, Instagram-friendly, and made you want to celebrate—which is ultimately what the Thimblepress mission is all about. Since that first tradeshow, the Thimblepress team has grown to a team of 11 full and part-time employees. Despite this tremendous growth, however, Kristen keeps a pulse on every part of the business. Her main hat, and true love, is product development and creation of every piece of of art that goes into production. It may come as a surprise that the founder of a company that is dependent on her art wasn’t the best artist growing up. Kristen remembers winning third place in an elementary school art show and by the way her parents reacted, she might as well have won first. The encouragement from her family to always believe in herself is what inspired one of the core values at Thimblepress today: “Encourage Others & Ourselves”. Kristen credits her grandmothers, both seamstresses and crafters, for instilling in her a creative energy and a love for making things. She remembers cutting shapes out of paper and her grandmother saying, “You know, Kristen, you really have a talent for cutting things out,” which Kristen finds hilarious since cutting things out of paper is a part of her everyday life these days. When Kristen was in college, her dad, a surgeon, would send articles from The Wall Street Journal about the Top 40 Inspirational Women in Business. He would tell her, “Kristen, if you read the first page of The Wall Street Journal every day of your life, you will be a very successful person.” A few years later on her way to study abroad in Germany, he wrote her a letter to read on the plane giving her advice about not working her life away—wisdom that Kristen admits to struggling with today. To help her make margin from her work, Kristen finds creative release by spending time making art just to make art. 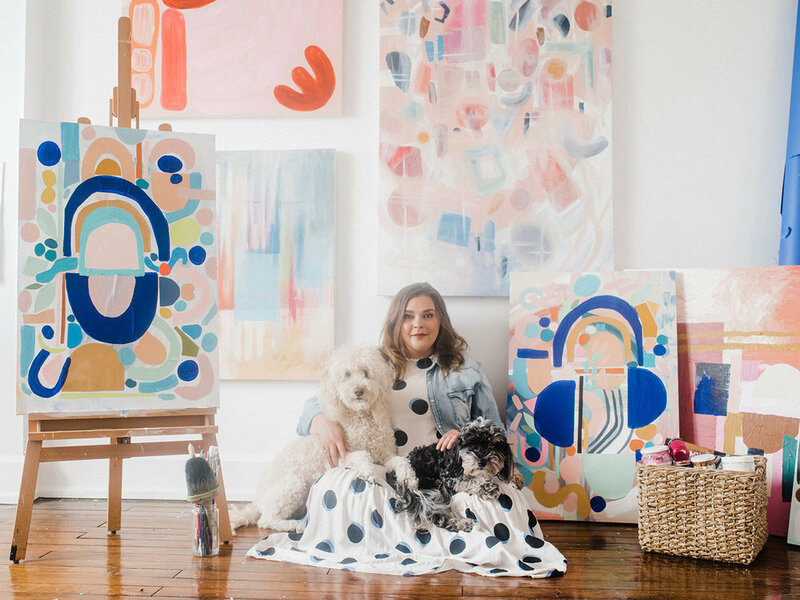 She is currently working on over 10 large-scale paintings that stay leaning up against an easel in her office. No deadlines, no show, no end goal, just exploration, trying new ideas, seeing what works, and what doesn’t. What keeps Kristen doing what she loves is the thought of people celebrating in rooms with her art on the wall. Down the road, she dreams about seeing her art come to life in a new way—as a home collection of fabric, dishware, pillows, and linens. This promise to her customers came true this past year when she had the opportunity to create a 20-piece Thimblepress collection for Target, a project that took 18 months of preparation. While the collection brought a lot of new eyes and excitement to the brand, it also showed Kristen a lot about how our world defines success. Whether her hometown newspaper writes an article about Thimblepress—that Kristen says her mom’s friends go ‘gaga’ over—or Lady Gaga herself shares the Thimblepress umbrella with her 20 million social media followers, Kristen never wants to rest on her laurels and call that success. And, we hope it’s not “it” either. As Thimblepress continues to bring joy, color, and creativity to the industry, Kristen will continue to stay curious by travelling, experiencing new things, asking why, and surrounding herself with people and places that are different from her.